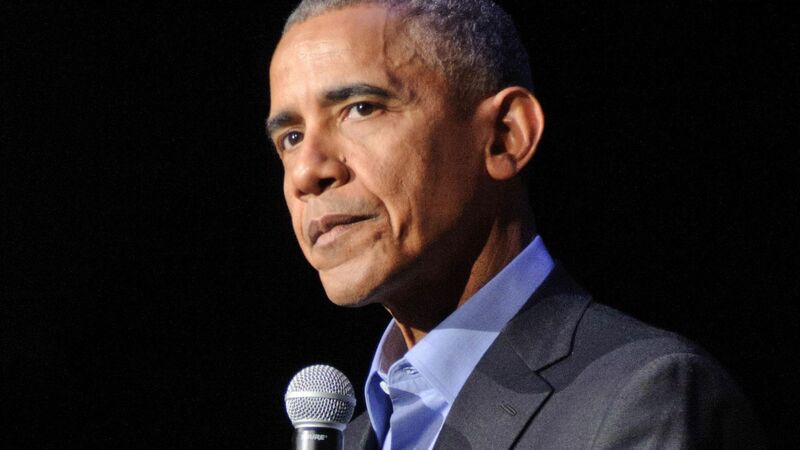 Obama worries progressives' rigidity may create "circular firing squad"
Former President Obama said Saturday he's concerned about progressives who are unwilling to compromise because it risks weakening "the overall effort and movement." What he's saying: "One of the things I do worry about sometimes among progressives in the United States ... is a certain kind of rigidity where we say, 'Uh, I'm sorry, this is how it's going to be,' and then we start sometimes creating what's called a circular firing squad, where you start shooting at your allies because one of them is straying from purity on the issues," said at an Obama Foundation town hall event in Berlin, Germany. The big picture: Obama's comments come at a time where Democrats are shifting to the left on big ideas such as Medicare for All, spearheaded by 2020 hopeful Sen. Bernie Sanders (I-Vt.). Freshman Democrats like Rep. Alexandria Ocasio-Cortez (D-N.Y.) have garnered national attention with progressive policies such as the Green New Deal.